The Goose Creek Community, Union County, North Carolina was the original home of the Lemmonds family from which Robert Lemmonds descended. Goose Creek is situated in the North of Union County and bordering Mecklenburg, Cabarrus and the southwestern corner of Stanly County. Union was formed in 1842, one year after Stanly County in 1841, from portions of Anson and Mecklenburg counties. 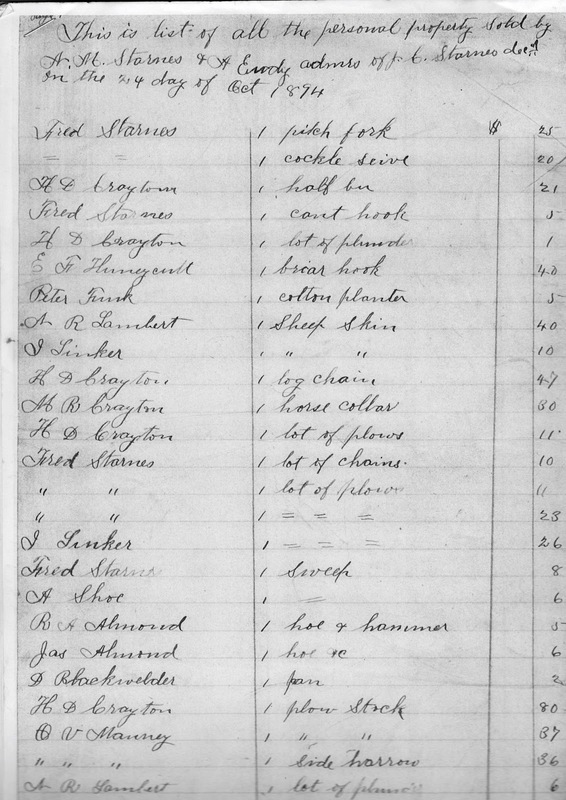 The progenitors of the Lemmonds family, and the branch from which my family came, William Marr Lemmonds and his son John, are listed in records in Mecklenburg County. They likely lived in what was later Goose Creek, the Clear Creek Community of Mecklenburg and modern Mint Hill. William Marr Lemmond was a clerk and a surgeon and served in the Revolutionary War as such. His son John entered as an Ensign and was later promoted to Lieutenant. John's son Robert would have a son named Cyrus Q Lemmonds. 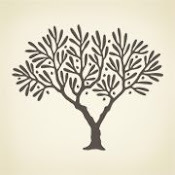 The following is from Lemmonds records. Cyrus Q. LEMONS, Bugler, Discharged July 31, 1848 by expiration of service. Listed on Muster Roll of Capt. Green W. Caldwell’s Troop (A) of the Third regiment of the U.S. Dragoons, Army of the United States, Colonel E. G. W. Butler. Organized 1847, discharged July 31, 1848. -MONROE JOURNAL, Union County, N.C., Tuesday, March 29, 1904: Mr. C. Q. LEMMOND, a Mexican war veteran of this county, living in Goose Creek township, has been granted an increase in his pension of four dollars per month, making [?page torn?] 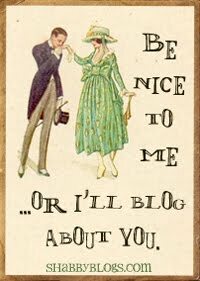 which he now gets. The increase came from Congress by the aid of Senator SIMMONS. 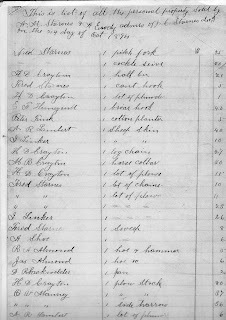 -Index to Mexican War Pension Files by Virgil D. White: Cyrus Q. LEMMMOND. Widow Eliza. Widow’s Certificate (WC-14706l) filed on Apr 8, 1907 & Soldier’s Certificate (SC-8843) both filed in NC; Served in Co. A 3rd US Dragoons as Bugler. -Died abt.1906/1907. See mention of his widow (Mrs. Eliza LEMMOND) in the Monroe Journal, Tues. Dec. 2, 1924, p.5, col. 3. Article mentions he was a Mexican War veteran and that his wife was one of the few remaining widows to be receiving pension. 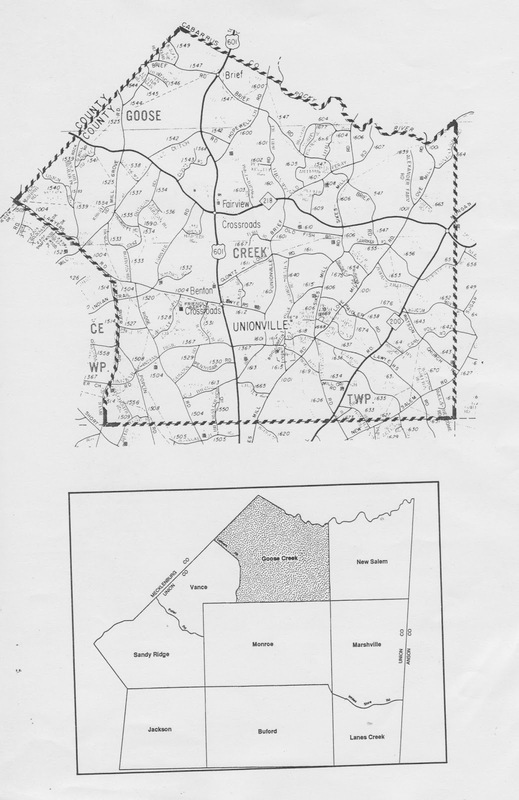 Cyrus would later live in Goose Creek and then Mint Hill. He and Robert Lemmonds are buried at Philadelphia Presbyterian Church within the modern town of Mint Hill. 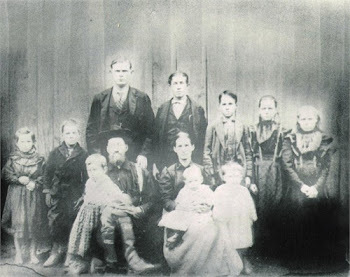 Frederick Fincher Starnes with his wife Mary L. Byram Starnes first show up in the 1860 census of Union County, North Carolina living in the community of Brief, with their young daughters Alice and Leavy, or Sarah Alice Starnes Linker and Margaret Leavy (or Olivey or Arleavis) Starnes Lemmonds, and next to F. F. Starnes parents Fred and Elizabeth (Betty) Starnes. West Corner of Brief Road and Cabarrus Road near marker labeling area as " Brief". The Community of Brief within Goose Creek Township is aptly named. It is very brief. Just a crossroads and nothing more. Two businesses and no more than a dozen homes. It is however, surrounded by beautiful rolling hills of farmland where cattle graze and cotton, corn and soybeans are grown. This is where Frederick Fincher Starnes and his first wife Mary Byram Starnes first began housekeeping and where my Great-great grandmother Leavy was born. Log House in Brief. Could it have belonged to a Starnes family? 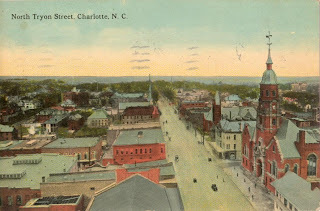 After Mary's death, and the death of several children, Fred F. Starnes would marry the widow of his cousin John S Starnes and they would move into the growing metropolis of Charlotte. Fred was older than his bride, who was childless, and perhaps wanted to please her by moving her to a more populated area with arts, parks, operas, society events, a variety in shopping opportunities and trolleys. 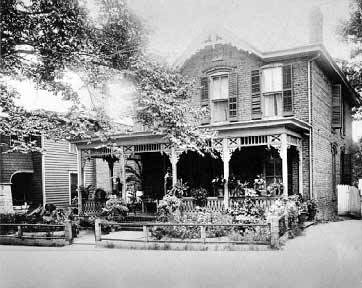 Their first residence was on Sunnyside Drive in the Elizabeth section of Charlotte. Fred and Abbie lived in Elizabeth from at least 1905 until 1915, according to the Charlotte Ciry Directories. They may have moved there immediately after their wedding in 1894. The Elizabeth community was named for Anne Elizabeth Watts, whose husband, G. S. Watts had made his fortune in tobacco in Durham. 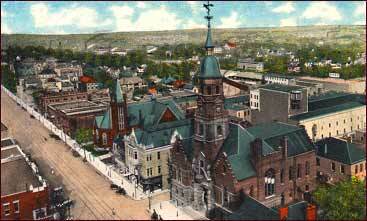 Her son-in-law, Charles King, chose Charlotte as the location for a Lutheran College for Women that opened in 1897. Because the Watts provided a majority of funding for the college President King named it for his mother-in-law. The Charlotte Evening Chronicle in its April 16, 1910 edition stated the following concerning the Elizabeth community. "The breezes of heaven blow their freshest, the light of the sun is at its brightest, in this favored neighborhood." There is no wonder in why Abbie would have coerced Fred into selling the farmland and move to this neighborhood. 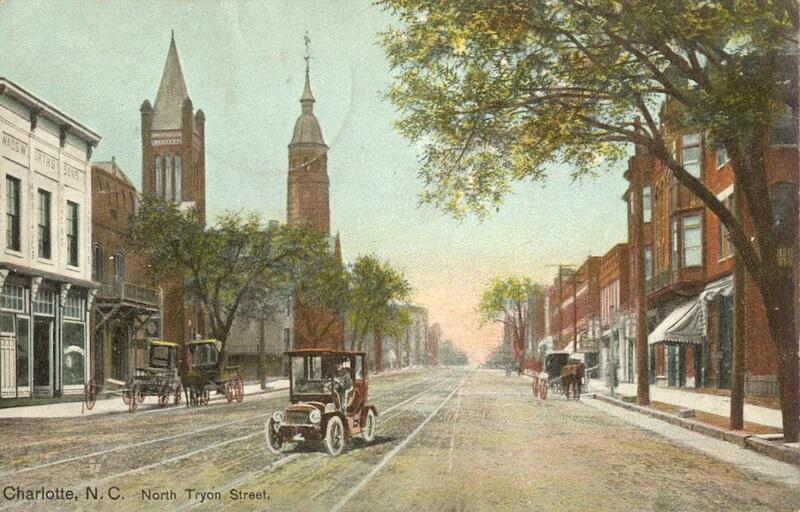 Elizabeth College stayed in Charlotte until 1915, the year the twice widowed Abby would move to Arlington Avenue. It then relocated to Salem, Virginia. The neighborhood had began outside of the Charlotte town limits, but had been annexed in by 1907. It is said elegant Victorian ladies played tennis on the college grounds. 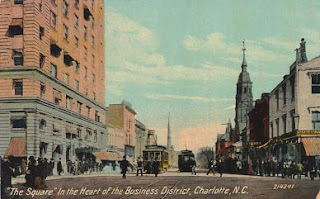 The Elizabeth neighborhood, named for the College, became one of the most fasionable and elite sections of Charlotte. 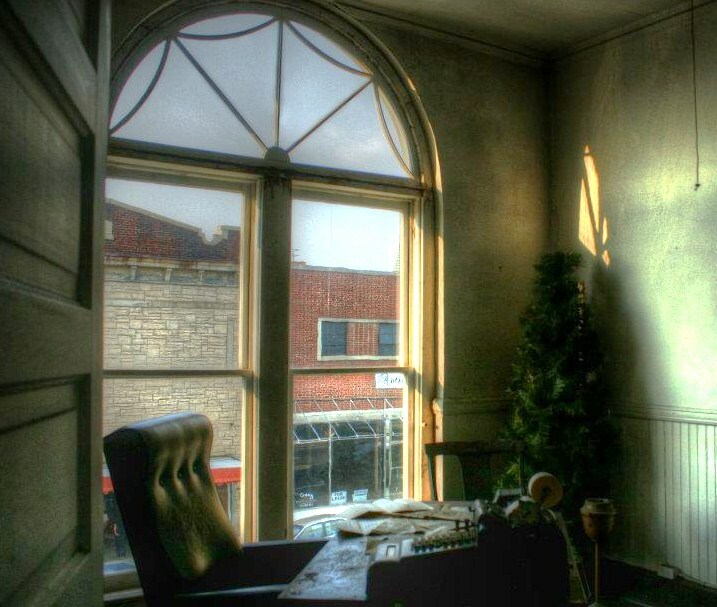 Community leaders such as William Henry Belk, founder Belk's Department Stores lived there. A great-granddaughter of Job Davis, whom this blog is named for, Minnie, married into this same Belk family. In December of 1902, a trolley line had been completed that ran from McDowell to Elizabeth College. In 1907, Independence Park, the first Charlotte City Park, opened in the Elizabeth neighborhood. The streetcar line was extended to run down Hawthorne and to the park entrance. Presbyterian Hospital would have her start in this area. Sunnyside Drive Victorian, where Fred and Abbie relocated to. Rocky River Presbyterian Church was the final resting place of Mary Byram Starnes, and the children who died young, Martha, Georgia and perhaps even little John, who only shows up at age 2 in the 1860 census. Rocky River was a very old church and near the river on the Cabarrus side. The range of area where Fred and Mary had raised their family were in several different counties, but not altogether far apart. 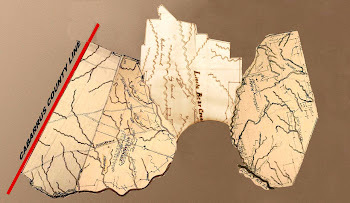 Brief was in the Northernmost part of Union County, as pictured on the above map. The Rocky River community was just across the river from the Clear Creek Community of Mecklenburg County, but on the Cabarrus County side. Meadow Creek Primitive Baptist Church near Locust, Stanly County is so close to the Cabarrus County line that many of the families buried there were enumerated in both counties in censuses. 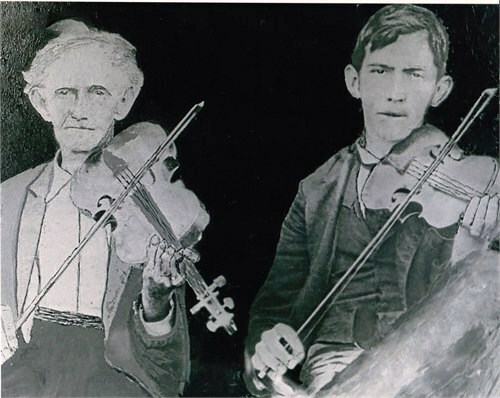 John S Starnes and his brother Nathan Monroe Starnes, both sons of Nathan T Starnes are buried there. They married sisters, Abigail D Furr and Elizabeth Furr, daughters of Frederick Furr and his wife Christina "Chrissie" Little Furr. Frederick Furr is buried there and this is how Frederick Fincher Starnes, who married his cousin John's widow Abigail Furr Starnes, ended up buried on there. John is buried on one side of Abigail, who would marry a third husband after Fred's death and Fred is buried on her other side. Martha's tombstone, daughter of F. F. Starnes and Mary. Fallen Tombstone of Geogia Ann, who lived to be 7. The view of the Cabarrus section of Rocky River, on which the Starnes family lived and farmed. The fertile Rocky River Valley and her amber waves of grain. Green pastures as fall sets in. In rural Stanly, Union and Cabarrus Counties, Cotton is still King. Striking red barn beyond a snowy field of cotton. Restored Home on Sunnyside in Charlotte where Fred and his second wife Abigail moved to after their marriage. Valley in Stanly County, where Fred and Abbie made their final resting place. Charlotte area home where Abbie moved after she was widowed a second time. View of Arlington Ave, only one block of which is left, where Abigail Furr Starnes Starnes Misenheimer moved after her remarriage to her third and final husband, Marion H. Misenheimer. Arlington Ave off of South Boulevard is nothing more than a one block alley now. 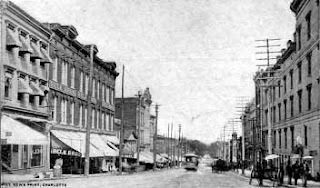 In the time of Abbie and her husbands, it led to a Trolley station and was a growing business area. South Boulevard, and Arlington Avenue, during the later years of Abigail Starnes time there. After the death of Frederick Starnes, Abigail was no longer a childless lady in her middle years hungry for the arts and cultures, but an elderly lady looking for the easiest way and shortest distance to get where she needed to go. 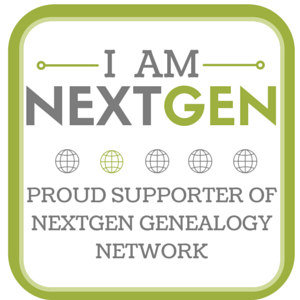 She and her third husband, Marion H. Misenheimer, whom she probably had known since childhood, due to growing up in the same area of Cabarrus County, moved out of the beautiful Elizabeth community into the Southern part of Charlotte, at the time, known then as the 6th ward. During the early part of the 1900's and into the 1920's, this area was a growing area of industry. In 1901, Charlotte Pipe and Foundry opens on South Boulevard between Park and Renselaer. In 1905, the first Pepsi bottling franchise begins there. In 1906, the first air conditioning manufacturing plant, Parks & Cramer opens there. By 1911, Edward Dilworth Latta has invited Frederick L Olmstead, Jr. to design the area called Dilworth, and Myers Park, using a new idea in landscape design called naturalistic suburban planning. In 1914, the Charlotte Machine Company is founded by Egbert Gribble. Into the 1920's, hosiery mills and other manufacturing ventures, as well as the new Lance Snack Packaging company has been built along South Boulevard. Young farm kids, disenchanted with life on the farm, and looking for the excitement, nightlife and mass transit of the city, flock into this area of Charlotte to find work in all of the available factories. Abigail, however, may have just wanted to be close to the trolley's and streetcars. Present view of Abigail's last neighborhood in Charlotte, one she could never have imagined. Robert Lemmonds, known as Bob, would marry Leavy Starnes, daughter of Frederick F and Mary Byron Starnes. Moving away from the Clear Creek and Mint Hill area, he would settle in the tiny town of Mathews, a point between Monroe and Charlotte. Mathews began as a community called Stumptown, because farmers who first invaded the area cut the thick timber so fast, they left a sea of stumps. In 1825, a man named John Miles Fullwood established the first post office in Stumptown and the Postal Service addressed mail sent there to Fullwood Station. Soon the town would be known simply as Fullwood. By 1874, the first train would come to Fullwood and the Railroad would rename the stop Mathews in honor of company director, Edward W. Mathews. Renfrow-Lemmonds house, one of the oldest original homes in Mathews. Lemmonds land near Mint Hill. The original plantation of the Lemmonds family was located near the modern community of Mint Hill on the Cabarrus Road, that crossed through the tiny community of Brief, in Union County. There is now a modern housing development along this road called Lemmond Acres. Philadephia Presbyterian Church in Mint Hill, where Cyrus Q Lemmonds and Robert Lemmonds are buried. Area near the old Lemmonds Homesite. Another shot of near the Mint Hill area of the Lemmonds farm. Charlotte home in the years Fred and Abbie lived there. Post card of Charlotte , NC near the Turn of the Century. 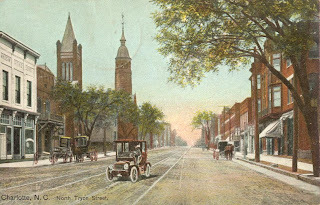 Old postcard of North Tryon Street in Charlotte during the years Fred and Abbie resided there. Cyrus Q Lemmonds in his later years with one of his sons. Charlotte as Fred and Abby saw it.